Scheule of fun races for our youth to attend this season. If you know of other races/events, please let me know and I will update the list. As a reminder, if weather is not cooperating, events maybe rescheduled or cancelled. Old Forge has snow on the ground and beginning to look like winter! Have a fun season, see you on the trails. December 31,2017 Sunday PBSC BKYSL freestyle McCauley after New Year’s resolution races. Check skireg.com for registration. January 20-21 ,2018 (tentative date) RXCSF 2 day Kids Festival, Bristol Mt.classic/free style. Check skireg.com for registration. This is a great beginning of the season ski festival to bring our youth skiers and families together. 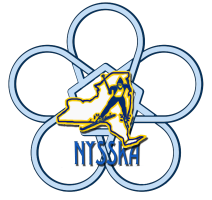 January 21,2018 Sunday NYSEF Lake Placid JNQ BKYSL races classic. Check skireg.com for registration. This is a fun festival, with races, relays and adventures on skis; an extravaganza for youth skiers and their families from New England and NY. Osceola Ski Club will be hosts to this end of season . This is a fun festival, with races, relays and adventures on skis; an extravaganza for youth skiers and their families from NY and PA.